I did a 30 minute interval runs 2 weeks ago and it showed me how much I had missed running. I am thinking of doing something for myself soon, when my my little nephew comes back from the holidays, I think I will engage him to run with me. We will do it little by little till we get to our goals. I tried running a 5k each month this year but alas, I could not. Right now, I walk/jog on the spot in the corner of my home but I make sure not to stop running. Such a long time. I think I will try another 5K race this year. I am really working towards it. I have started to run again and I am enjoying the thumps in my chest as I run. I know it is a sound of a good healthy heart. 3.5mph 30 seconds, 6mph 30 seconds. It was an awesome run today. I don't run outside, I do it on the treadmill most times. I do this because it is not too safe to run around where I live. Whenever I want to do outdoor, I go to a football field or do within a basketball court. I can run and enjoy it for 3 min straight doing intervals for a total of 6 cycles. Sometimes i can run longer. Total workouts are 1.7 - 3.0 miles and a min of 38 minutes. I am looking forward to running longer stretches. I also bike, zumba, play tennis and do yoga intermittantly. The walking/jogging and running are daily. How do you run? @Sohinez, how long do you run? I am surprized how much a short but intense run can make you feel so good!! I did a brisk walk/jog of 40 minutes today. I am a survivor with a rugged mind, as tired as I was today, I still had to make it to the gym to add my minutes in. What a lovely way to celebrate Father's Day with your DH. We love fit dads. Every run is a gift! Today I even surprised myself how much I loved the hardest run I've ever done since highschool!!!! My hubby ran with me even on Fathers Day!! Oh good... I have never ever been a runner but want to so I am glad to hear that with alot of effort it is possible! It is what I am becoming. I love the feeling after every run anyway. Have you always been a runner or is this something that you are becoming? I did not run the last time I was at the gym. I walked, but the walk was for 40 minutes. I read an article where I was able to understand that my thighs will grow slimmer when I do more of endurance cardio i.e. running for more than 60 minutes, I will keep building my stamina to get there. I can run steadily for 25 minutes now but I will surely get there. That is fantastic! Good job... I am just starting out (again). I was doing fantastic and then ran into some significant health troubles and just pack on weight and lost my momentum. Seeing your post and how hard you work (and that you voice how hard it is) is very inspiring, telling me not to give up because I am sore or tired! 58 minutes on the Elliptical Trainer today, it was a challenge for me and quite overwhelming. Running was not good enough today but I still did a mile walk at 14 minutes. My run used to be there, I am grateful to God for the strength. Today was slower at 12.14 minutes. 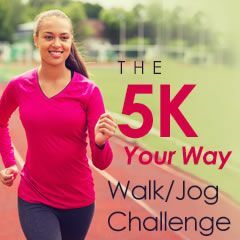 Right now I am really considering starting a 5k running program. I will do this, lemme fix it for June. Still in the running business friends, on Tuesday 5/6/2014 I did a mile at 11.46 minutes. I am loving my progress. I did 1 mile in exactly 12 minutes today (it looks as if its my standard run for a mile), then did 1.3miles in 15:30 minutes. I just did a little study of myself and realized today that I run better when I am well rested for a few days before I run again. I have so much energy and will to just do it and I do not tire out so easily too. You are free to come in and give advice, comments, cheering and anything you feel like doing here. I love you all. I did not run today, just did not feel like running. I however did a low impact workout with the treadmill, it was awesome, with a ten minutes ride on the stationary bike. I will surely intensify my efforts running so that I can have a better PR. I have had this post for sometimes on another team/thread, I decided to transfer it up here since I am more constant on here. Click on the link to see where I am coming from when it comes to running.